The Air Wildwood table is a warm and light table made fundamentally from live oak. It is processed in such a way as to create a cavity which opens towards a section of the trunk and as a result it shows the soul of the wood or, alternatively, it can be coated in colored glass. 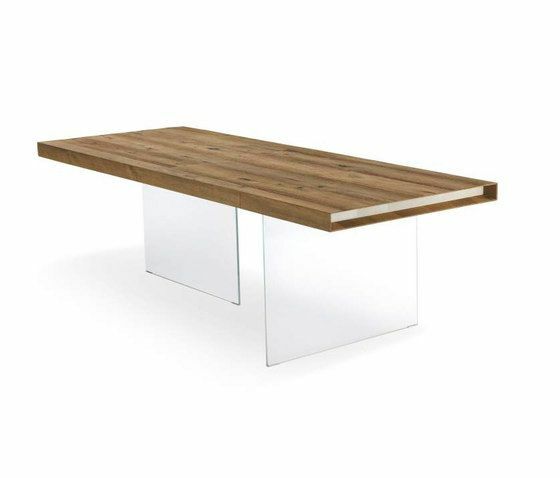 As with the Air tables, the Air Wildwood table legs are made of extra-clear glass as well. The headquarters of LAGO SpA are located in the heart of the Italian Northeast, in a 12,000 square metre facility conceived as a home and built in accordance with the principles of organic architecture.